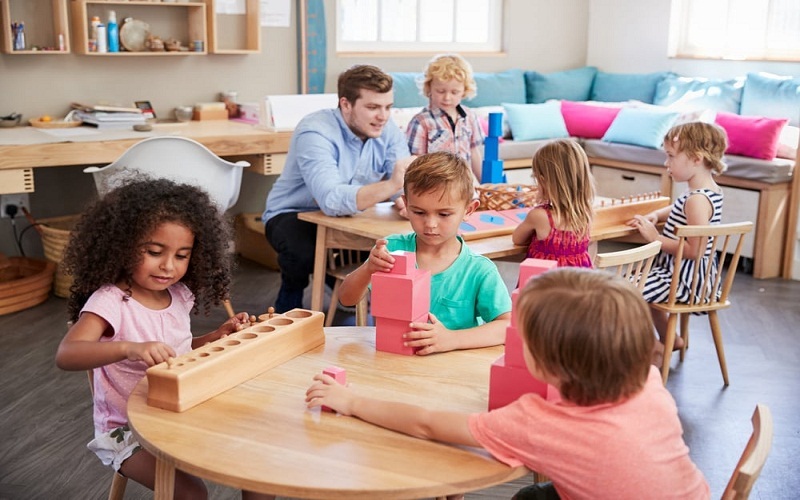 In this article I will tell you about Montessori curriculum, an alternative teaching method that seeks to give children more freedom and that has a whole philosophy behind it. It was created by the Italian doctor Maria Montessori in the late nineteenth century. And popularized during the early twentieth century. The Montessori curriculum is still valid today and there are many institutions in the world that implement their curriculum. Which is different from the rest of the educational system. Maria Montessori was an Italian physician and educator born in Chiaravalle. A town in the province of Verona. As a child, she became interested in engineering. But abandoned that career because she was dazzled by Medicine. It was in this way that she became the first woman to graduate in Medicine in Italy. Interested in mental health, she decided to specialize in psychiatry. At the end of the 19th century, he worked with children who were considered to have mental problems. And it is at this moment that he began to develop his method, considering that these children also have the capacity to develop themselves. His work proved to have results and further research showed that the Montessori curriculum was also effective with children without any mental problems. Throughout her life Maria Montessori dedicated everything to the development. And improvement of her educational method. Even living in exile an important part of his life. 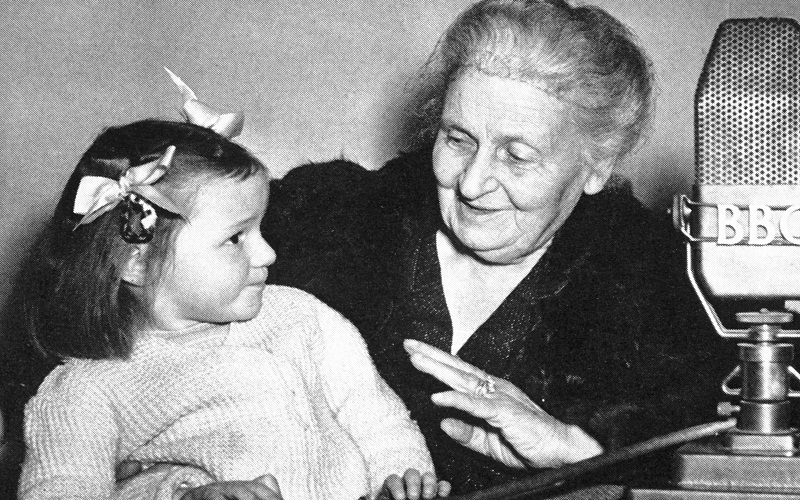 María Montessori passed away in 1952 in the Netherlands. The premise of the Montessori curriculum is that of freedom. Children are free and should have the opportunity to experiment with the world around them. This freedom, combined with some minimal restrictions, will form them in an integral way to turn them into the valuable people the world needs in the future. 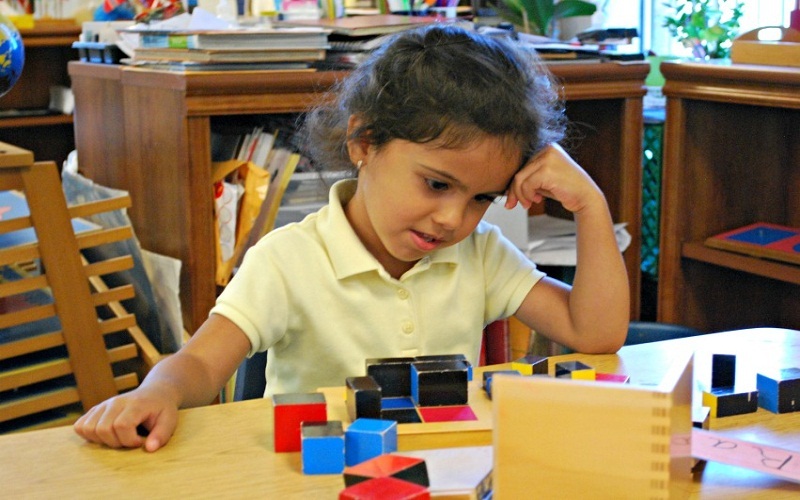 Montessori education has a whole philosophy behind it. Her creator believed that her method served to “educate for peace”. That the young people who were trained with this methodology would be the defenders of peace. And would avoid war conflicts in the future. Now, what is this method really about? How does it apply? The Montessori Method consists largely in letting children guide their own learning through experimentation with their environment. The decisions of themselves become an important and decisive factor in the activities to be carried out. If we give an example, each child could determine what activities to perform. And how much time to devote to each of them. It is not completely a free will because there are guidelines that must be respected. In this context, adults, whether parents, guardians, or teachers of the child who learns become guides that facilitate learning. But do not dictate what needs to be done at all times. In Montessori curriculum, children are grouped in ages every three years: from 0 to 3 years, from 4 to 6, from 7 to 9, and so on, until reaching 21 years. Which is the age at which the method ends. These are the different levels, which allow the child to socialize with others, even if there is some slight age difference. The maximum purpose of this educational methodology is to achieve autonomy in young people. This autonomy must be moral, intellectual, social and emotional. Many people know this method because of the didactic materials that are often used. The most striking is surely the size of the furniture and the surroundings. The method requires that everything be done in scale with the children. This is how you will find Montessori tables and chairs, that is, small furniture adapted to the size of the smallest. There are also beds, closets, cupboards and all types of furniture. Another distinctive element of the method is the educational toys that are manufactured mainly in wood. Plastic is not usually used because it is a neutral material that does not generate special stimuli. Wood, metal and fabrics, on the other hand, have a special texture and a certain temperature. 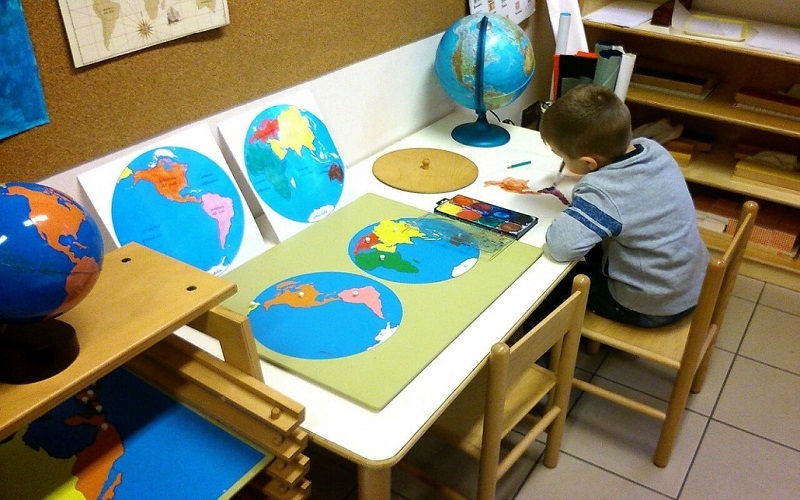 The Montessori Method is also implemented in the classroom. Even today, many schools in the world teach under this educational model. The main characteristic of the Montessori curriculum in the classroom is the division of space into areas. Also the fact that there are no benches or tables for the boys to feel facing forward. Yes, that’s right: the typical classroom with all the children facing the front where the teacher is, does not exist in this world. There are tables and chairs. But they are not arranged in a row. But in the places where they are needed. In addition, they are not individual, facilitating collaboration. Each subject has its own space in the classroom and spaces for teamwork. And individual work are reserved. There is also a special place set aside. And silent for when the child wants to be quiet. And another special to be able to read. In short, the child in a Montessori classroom has to have all kinds of spaces available to choose where to be at each moment. As any educational method, this has not been exempt from criticism. Among them, those who say that by giving children full freedom to choose what to study. They may not end up training in some areas that are important. Other criticisms focus on the fact that it does not encourage enough competition that leads to development. What can cause children to develop more slowly? The idea of ​​this article is to present this type of education for all those who never heard about it. And for those who only associate it with certain didactic elements that are very fashionable. Educating a child under this methodology is an important decision. So if you are thinking about it, I recommend that you thoroughly investigate what it is about and if. You can approach schools that offer this type of education to make inquiries.